After months of unusually cold weather in the southeast this year, I look forward and prepare to kick off the riding season with Daytona Beach Bike Week, March 6-15. A favorite practice to prevent breakdowns and mishaps is to check the bike thoroughly before loading up and heading out after little or no riding for the past few months. Better to order parts or arrange repairs ahead of time than to do so at the last minute while antsy to get some wind therapy. Remember ‘T-CLOCS’ and check Tires and wheels, Controls, Lights and electronics, Oil and fluids, Chassis, and Stands with special emphasis on the TIRES, looking for excessive wear, cracks, and correct pressure. Next, check your gear and load your bike like it will be on the trip. Practice those rusty skills and emergency maneuvers in anticipation of doing U-turns back to the ‘eye-candy’ sightings at Daytona. Dropping or duck-walking your bike is both embarrassing and dangerous. In the past, a preferred route of mine from central Alabama is to travel past Montgomery avoiding the interstates to US 431 to go thru Eufaula. The route then follows the river along the Alabama side of the GA-AL state line. By setting the GPS to take the shortest route to the SE corner of Lake Talquin, FL, I avoid Tallahassee and enjoy light traffic and scenic back roads. From there, go east on SR 20, CR 267, and US 98 to Perry, FL. My trips often vary as they cross Florida, but ultimately join US 1 around Bunnell, where I head south to ride by the many venues north of Daytona on US 1. I’m going to miss those lonely back-road routes now that I live near Savannah. In the past, Monday thru Wednesdays have been my favorite days to enjoy the demo rides at the racetrack with the shortest waits. Harley-Davidson, Kawasaki, Victory, Yamaha, Can Am, and Suzuki typically give free demo rides. HD does unguided demo rides, you just stay on their route. 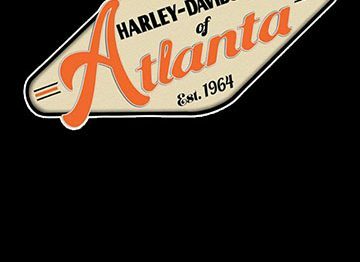 Many years I’ve been able to get off one HD, and then with little or no wait, climb on another for a solo, 8 mile ride down a curvy, back road route… a sort of ‘Disney World ride’ for bikers. The others require signing up for a guided group ride, so sign up early to be sure you’ve got a reservation for the bikes you want to ride. What a fantastic way to spend a day! After the demos end, it is a great time to take scenic loop rides. The northern, most popular route begins by taking Old Dixie Hwy along the Halifax River into Tomoka State Park and on thru Bulow Creek State Park, turning right onto Walter Boardman Rd, which brings you back to the beach. This route has beautiful water and marsh views with many places to stop and wet a line or picnic. Turn south and take John Anderson Drive for more waterside views and to return to Daytona. Or, head north to Flagler Beach for ocean-side riding with unobstructed views. You turn west on Moody Blvd, taking a left on Seminole Woods Blvd just past I-95 to head back to the venues on US 1 including Rossmeyer’s Daytona Harley-Davidson, the Iron Horse Saloon, and many others. I like to stop at High Bridge Park at the northern top of the ride where it crosses the river and hike the 2 mile Coastal Strand Trail to work off some calories. There are several other spots to stop for pictures, many with fabulous sunset views. Tip: Stop where you see other bikers taking pictures…you never know who you might run into. One year I stopped along the route and ran into a group from New Jersey whose leader Tony was a lookalike for Joe Pesci (My Cousin Vinnie, Home Alone, Good Fellas). 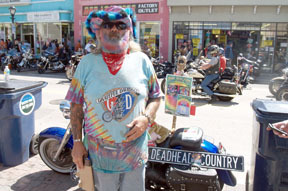 Telling jokes with similar mannerisms, it was as if Joe, disguised as a biker, was there to enjoy the great times you can only get at Daytona Bike Week. Who knows…maybe it was?? 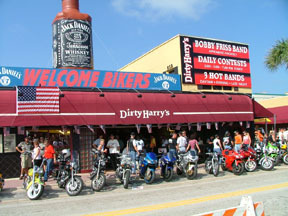 A half-million bikers do come to Daytona from all over the world that week. Expect some nice changes this year from the billion dollars being spent on area upgrades including the Daytona Speedway, I-4/I-95 exchanges, and International Speedway Blvd. 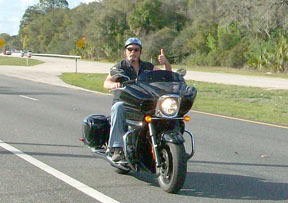 Another nice ride is a southern loop that is south of Daytona and north of Kennedy Space Center. Split off east from US 1 onto SR 3, Courtenay Pkwy to enjoy little traffic on the long, open stretches of road with the Space Center in the background. Turn east onto Playalinda Beach Rd and you’ll find quiet, pristine beaches. Going back, you can go up US 1, or go back to I-95 if you need to hurry because you took time enjoying nature in the wildlife refuge. Be sure to pick up a pocket Bike Week Guide to find venues away from Main Street, Riverfront Park, or the Speedway. There are much too many to mention here. Remember to enjoy the ride – safely and defensively! See you in Daytona.